For Achilles and Peroneal Tendinopathy we use gold standard Shockwave Therapy which is one of the most advanced non-surgical and non-invasive treatment available for a wide range of stubborn conditions that are difficult to treat using a conventional treatment approach. Shockwave Therapy will preclude the need for steroid injections and invasive surgeries and enable rapid relief from your pain. The Achilles tendon is the largest tendon in the human body and has the same tensile strength as mild steel. Despite these amazing facts it can still be compromised by any activity that involves repeated running, jumping or frequent sudden accelerations or decelerations (i.e. most sports!). The actual condition itself is thought to be caused by repeated micro-traumas caused by overuse injury. Other issues that are likely to exacerbate the condition include inappropriate foot wear, sudden changes in intensity in training, training on gradients and/or poor flexibility. Typical Symptoms; A worsening pain on the outside of your ankle that is evident particularly during or after activity. The ankle will also feel unstable and weak. 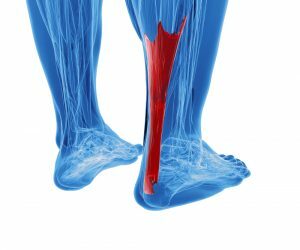 The two peroneal tendons are located on the outside of your lower leg and enable you to turn your foot outwards (this helps provide stability when you are standing). 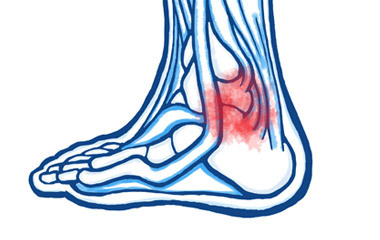 These two tendons then descend very closely around the outside ankle and attach underneath your foot.